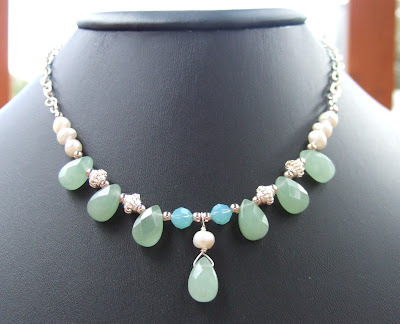 Faceted aventurine briolettes, swarovski crystals, pearls and sterling silver make up this pretty necklace. I don't know the name of this green stone. It has some yellow and dark browns on it. 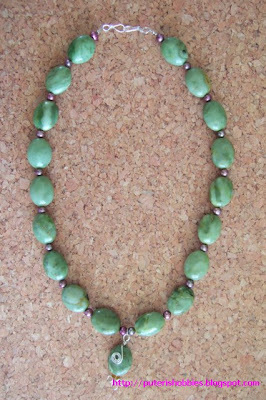 I also used purple fresh water pearls and my own hand made sterling silver clasps for this creation. 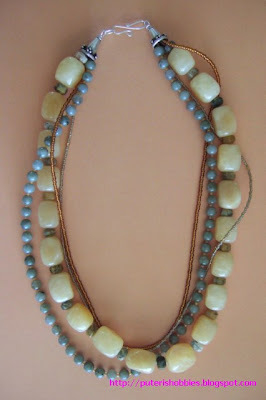 This is my version of a multi-strand necklace that has at least a couple of strands of seed beads. The yellow beads is yellow jade, the green is aventurine.